Todays outfit is really my everyday go to kind of outfit. I LOVE this oversized top. It also comes in black and it is such a staple in my wardrobe. Looking so beautiful in this casual outfit! I like your bag and boots very much! Such a cute look.. Loving those boots!!! Such a simple yet gorgeous look! I love your boots! Your hair is super cute as well! Did you cut it again? Love this look! Also, your hair looks fabulous! Your top is looks so comfy! Love this shirt with the pockets. And love the flat boots! Very nice & classic look, great boots too. 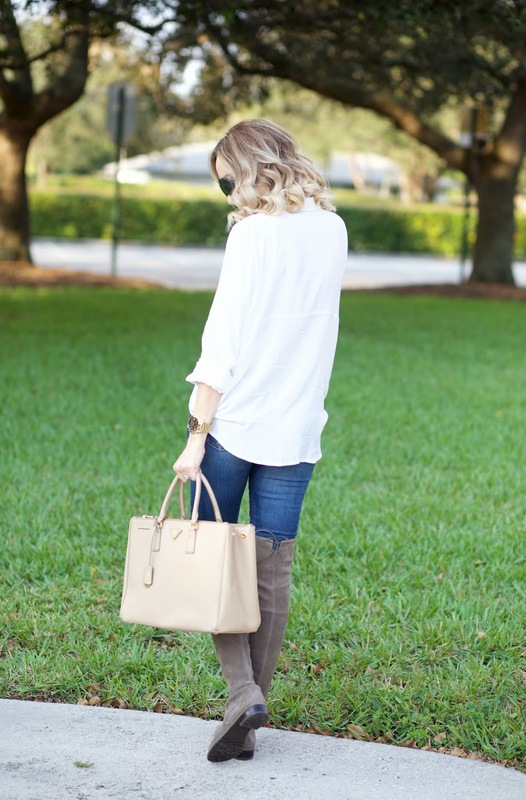 Those boots are gorgeous and compliment your outfit so well!